How’s your summer going? Between chauffeuring my kids around town and trying to get that thing called work done, I have one word to sum up our summer so far. A “zoo.” So it was only fitting that we took our little monkeys to the zoo for a weekend family outing. 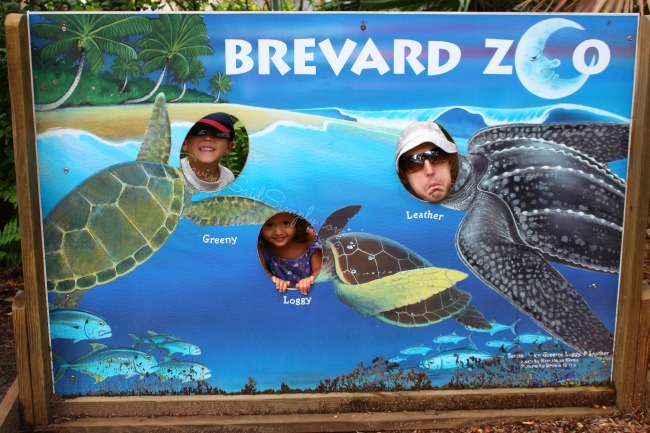 Today’s Family Focus Friday is trip to the Brevard Zoo. It sure was zoo-y. There’s definitely perks to having annual passes to our local zoo. 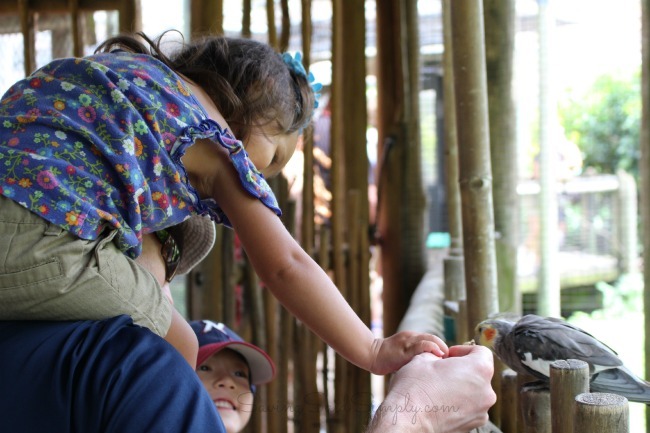 Unlike the crazy tourist atmosphere of the theme parks, our family has a different mindset when we go to the zoo. It’s quiet. Relaxing. Educational. Instead of rushing off to the next ride, we are strolling, exploring and even just standing and staring at animals. I just love that my kids love animals. The awe, wonder and fascination on their faces is priceless. 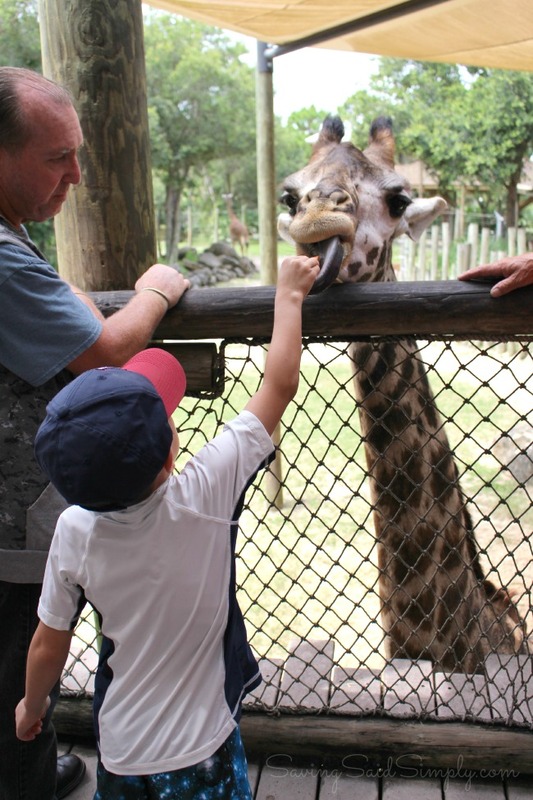 The Brevard zoo is one of the few where you can feed a giraffe. It’s the best $2 we spend every time. Today was an extra special treat. Someone gave us seed sticks to feed the birds. 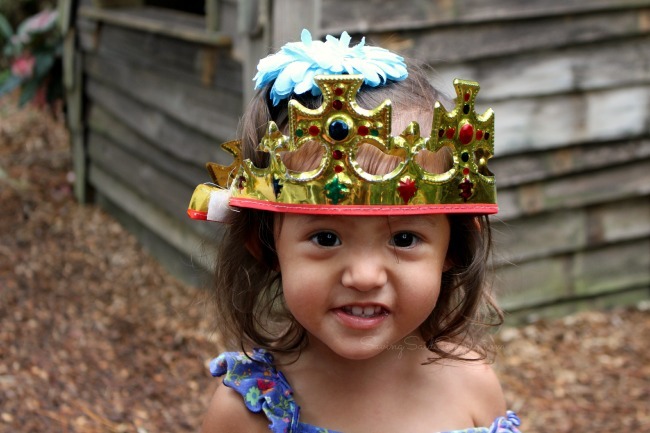 I swear the kids’ cuteness gets them everything! 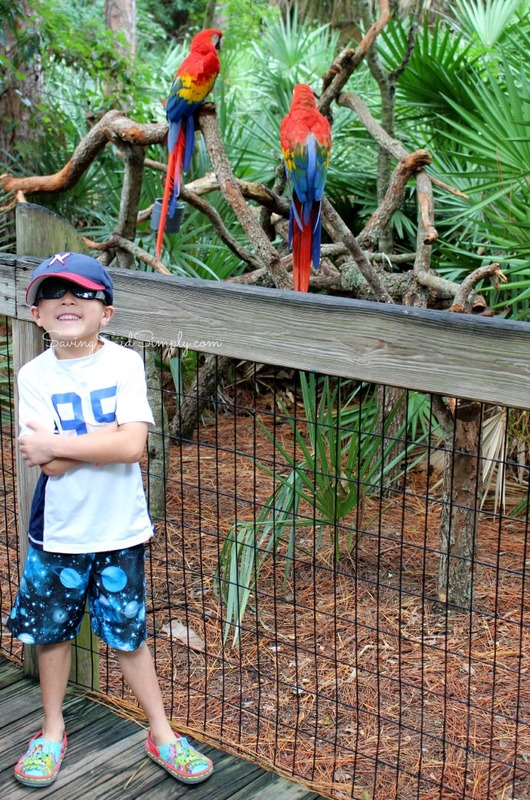 After a few hours in the hot Florida sun, we always end our zoo days the same way. 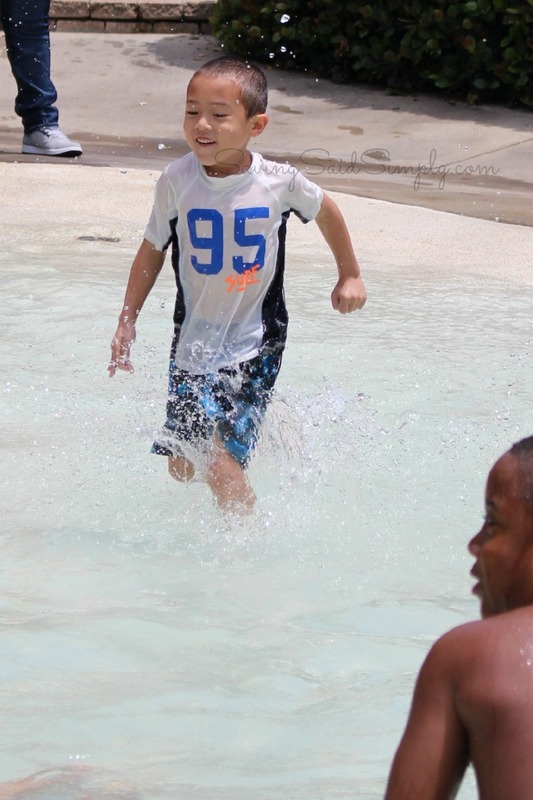 Cooling off at one of the few zoos that have a HUGE wading pool area for the kids. 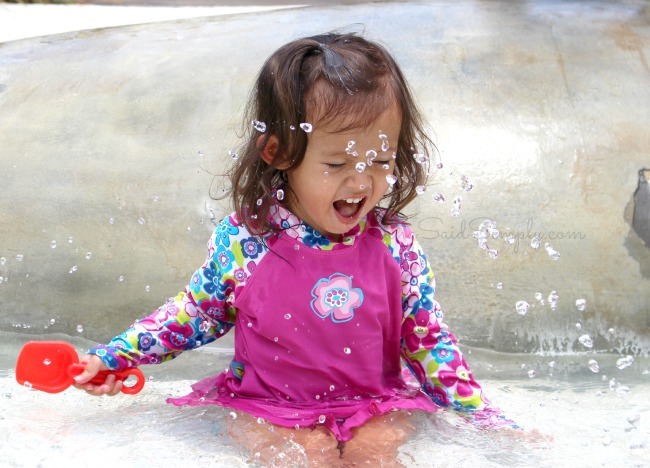 Paws On is seriously the BEST addition to the zoo, and the main reason we get annual passes. That’s how I’m keeping my family in focus this week. How are you keeping your family in focus? Be sure to follow Saving Said Simply via Facebook, Twitter, Google, Instagram, Pinterest and YouTube for more of my mommy brain thoughts, family memories and travel. I love going to the zoo! We also have an animal sanctuary not far from our home that we love to visit. You guys have so much fun! Nice zoo, including the wading pool!!! No zoos around here, but there is a nature center, and lots of bears roaming the area – you never know where or when one will show up. 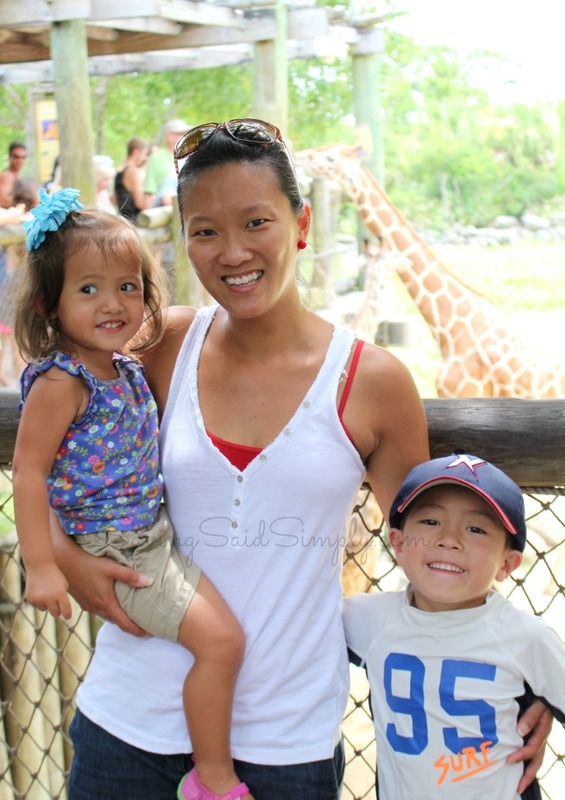 We love going to the Zoo with the kids, they always enjoy it, always a great family outing for us. Glad you guys enjoyed your day! The zoo is always a great place to visit, there’s so much to see. Thank you for sharing this post. 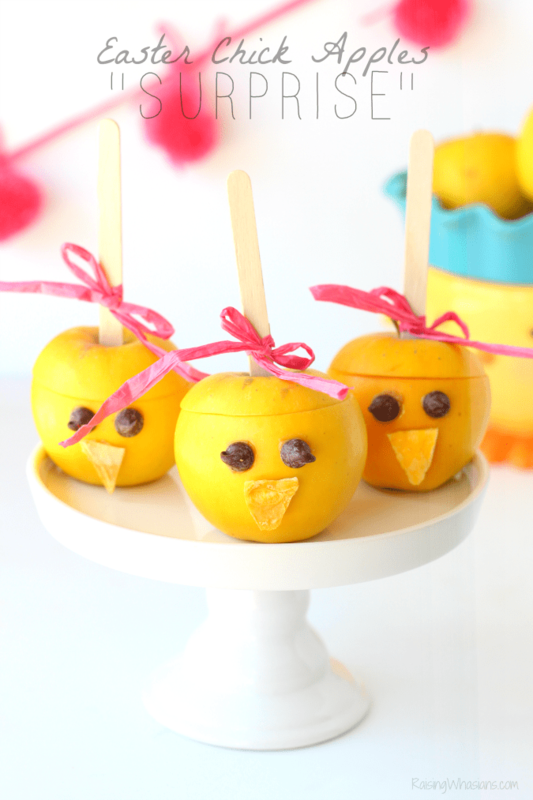 Your kids are adorable, no wonder they get extra treats. 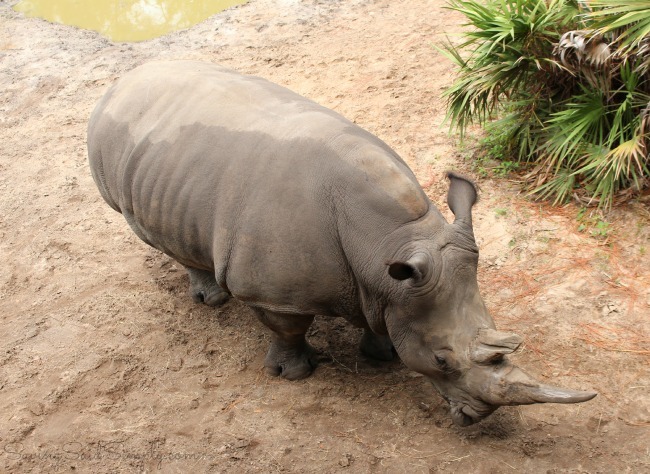 What great pictures you have from your outing at the zoo! 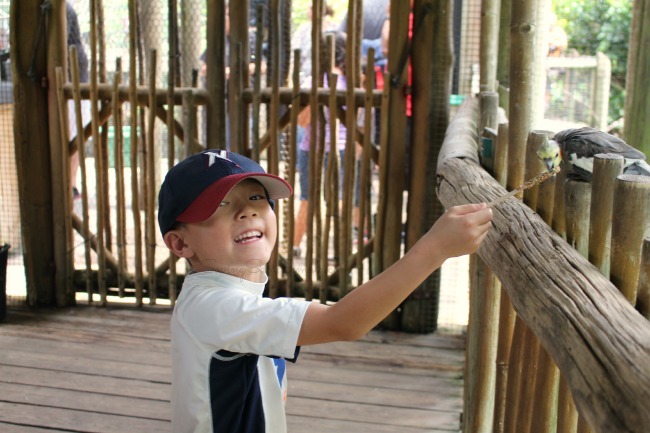 We went to Zoo Atlanta a few weeks ago and my grandsons had a blast, too! 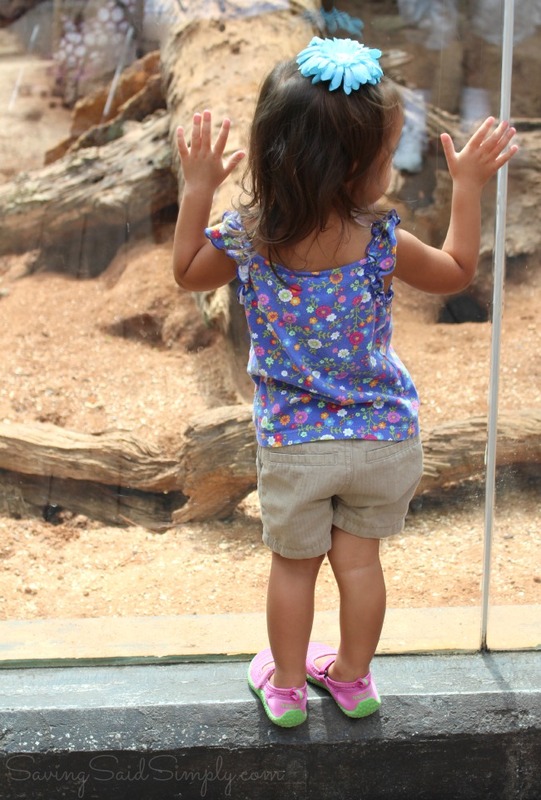 I can’t wait to take mine to the zoo…we are gonna wait until fall when it gets a little cooler…either way…I know we will enjoy it! I love going to the zoo. We spend hours watching the animals!